How Can I Place an Order for Sugar Free Sweets Online? We at OYC deal with Sugar Free sweets online. We have a wide number of Sugar Free sweets for you to select our range of Sugar Free includes Sugar Free Chocolate, Sugar Free Cookies, Sugar Free Sweets for you to enjoy. Sugar Free Sweets are blessings especially for those people who are compelled who can surely stay away or control from the white rice and bread they have, but they find it extremely difficult to eliminate sweets from their diet plan. OYC is an online sweets platform dedicated to various kinds of sweets of which one of them is Sugar Free variant. We procure our online Sugar Free sweets from top sweet manufacturers from India to see that they have persistent quality. Order for your Sugar Free sweets can be placed easily using a click of a button because we provide online sweets delivery across India. The general term used for those items is Sugar Free sweet. Sugar free sweets not only help diabetic people to stick to their daily sweet consumption routine. Besides Sugar Free sweets we also deal in other normal kinds of online sweets any kinds of online sweets can be brought from OYC as we are taking consistent efforts to add new variants of online sweets on a regular basis so it is no surprise if you are able to find one-off sweets here. Demand for online sweet side blooming nowadays as customers are tilting more towards convenience from the conventional form of purchasing sweets. OrderYourChoice offers the best solution for those people by providing the sugar free sweets online and delivering to the doorstep. We have services across India, we courier the required online sweets to your corner. However same day delivery is not possible for sugar free sweets, we do deliver it in two business days, as we order and get from certified Sugar Free shop. These are some of our range of Sugar free sweets available at OrderYourChoice.com the one stop destination for sugar free sweets online these sweets are not only tasty and delicious as any regular but has the benefits of reduced calorie level especially made for our Health-conscious customers who are from different parts of India like an Chennai, Hyderabad, Kolkata, Mumbai, Jaipur, Bangalore, Mumbai, Pune, Ahmedabad, Andhra, West Bengal etc., To complement their regional sweet taste we have regional sugar free sweets peculiar to these regions like Sugar Free Mysorepak, Sugar Free Badhusha Sugar Free Chandrakala, Sugar Free Rasagulla, Sugar Free Chocolate Mowamodaks, Sugar Free Rasamalai and many more at OrderYourChoice which makes online sweets delivery of your favorite Sugar Free sweets across India. Sugar is easily metabolized carbohydrates. There are various kinds of sugars they can be in the form of sucrose, lactose, fructose, maltose, glucose. Sugar is mainly derived from sugarcane or sugar beet. Sweeteners, on the other hand, can be natural utilizing herbs, fruit extract, coconut, Yacona. They are a substitute for sugar sweeteners are free of calories as opposed to sugar. Sweeteners aid people in weight control as it is calorie free it can be used by diabetics who are prone to blood sugar fluctuations. In addition to that, they also don’t contribute to tooth decay and cavities. Some of the renowned producers of sweeteners in India are Sugar-free gold, Truvia, Steviocal and others. Our range of sugar-free sweets utilize these brands to produce quality sugar-free sweets which have the taste of really sweet without any compromises to taste. atli, Halwa, Dry Jamun, Mango Rasamali, Chocolate Mowa, Tirangi Katli, Khajur Barfi, Rasagulla, Kesar Roll and lot more which are sugar-free thus resulting in lesser calories. In OrderYourChoice customers can also find Sugar-free Chocolates, Biscuits and lot more products. Tailor-made for our health-conscious customers. Scout our sugar-free sweets page to get a glimpse of more Sugar-Free Sweets online at OrderYourChoice. How are Sugar free sweets prepared ? Sugar Free sweets use natural sweeteners that are basically plant, fruit or Honey extracts like Stevia, Yacon, Levulose and Erythrito as they have low calories and are considered suitable for people diagnosed with ailments like diabetes as they have least impact on blood sugar levels. What are the typical Sugar Free Sweets made up of ? Sugar Free Sweets rely on sweeteners that are made using extracts from plants, fruits or Honey to provide taste of sweetness while reducing the calories levels drastically and when it comes to other ingredients their is not much difference other than sugar. How do they make sugar-free sweets? In sugar-free sweets, regular sugars are replaced with natural which are made from herbs and plant extracts sweeteners to reduce the overall calorie level. It has the least impact on blood sugar levels and can be consumed by people diagnosed with diabetes. In addition to that, it does not contribute to tooth decay. At OrderYourChoice you can come across numerous varieties of sugar-free sweets online. What are natural sweeteners made of? Natural sweeteners are generally extracted from plant roots and fruit mainly herbs, fruit extract, coconut, Yacona. They have a taste of Conventional sugar with lesser calorie levels. Our sweets at OrderYourChoice are made up of natural sweeteners thus can be consumed by people with diabetes as consuming it does not result in blood sugar fluctuations. Is there any difference when it comes to taste between sugar-free sweet and a normal sweet? The differences are subtle when it comes to sugar-free sweets and regular sweets. Color difference is easily noticeable. Sugar-free sweets have a slightly different color in comparison to regular sweets and also you may notice slight variations when it comes to taste because of the use of natural sweeteners and to reduce calorie level. What are all the types of sugar-free products available to you online? We are one of the largest sweet shops selling all kinds of sugar-free products online. It includes a huge array of sugar-free sweets, sugar-free chocolates, and cookies. Do you sell authentic sugar-free products online? Yes, we have pledged to sell only authentic sugar-free products online. The popularity of our sugar-free chocolates, sweets and cookies are proof enough for you to believe in our quality. My friend recommended your sugar-free products. Are they available all over India? Yes, we are proud to say that our sugar-free products are available all over India. I want to order some unique sugar free sweets from you. Do you have them? You have come to the right place as we have some very unique sugar free sweets like Rose Kaju Bon Bons, Choco Rolls, Kaju Gulkand Pan, Chocolate Mawa Modaks and many more. Visit us to know more about the varieties available with us. We are planning to host a small get-together for the elderly. Is it possible to buy sugar-free sweets in assorted variety from you, online? You can very well buy sugar-free sweets in assorted variety from us online. We can even deliver the order to your place, anywhere in India without extra charges. If I buy sugar-free sweets online in huge quantities will I be entitled to get any discount? You are very much entitled to get discounts when you buy sugar-free sweets in huge quantities, from OYC, online. Either the value of the purchase needs to be more than Rs.30,000/- or the quantity of the item you are buying should exceed more than 10 numbers. Will you be able to deliver sugar-free sweets such as Mawa Modaks to the Ganesha temple in Chennai? Our delivery chain pans across Chennai and hence it is needless to say that we can deliver sugar-free sweets anywhere in Chennai. 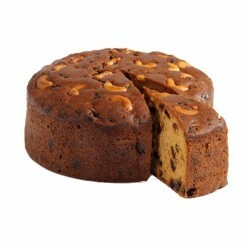 Suggest some novel sugar-free sweets made from dry fruits that I can purchase for my niece in Delhi. 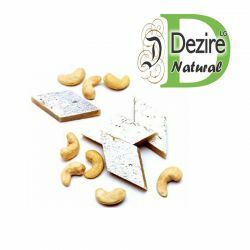 We at OYC have many such novel sugar free sweets made from dry fruits. The one that is worth mentioning is the fruit gift box that has sugar free sweets shaped in the form of an Apple, Chikku, corn, and strawberry. The receiver is sure to be delighted upon receiving them. My wife is looking for sugar-free sweets that have the goodness of Anjir too in Bangalore. Do you have them? 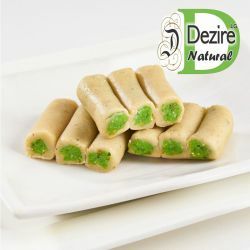 Yes, please inform your wife that OrderYourChoice.com has various varieties of Sugar-Free sweets that have Anjeer in them. She can buy them in Bangalore in required quantities and also enjoy discounts that are available at the time of purchase. I saw your strawberry shaped sugar-free sweets displayed on your site, I want them to be delivered in Bangalore and also want to know if they would be exactly the same as I saw them online? The strawberry shaped sugar-free sweets you saw on our site are made from Kaju, Badam, Pistachios, and Kesar. They are both healthy and yummy. But we would like to inform you that we will try hard to deliver with utmost care however the actual product might slightly differ in shape, color and design. What is the specialty of sugar-free sweets that are sold by you online, India? OYC is a leading sweet shop that has pledged itself to provide high-quality sugar-free sweets made from superior quality ingredients like Milk, Mawa Peda, Ghee, Kaju and so on. 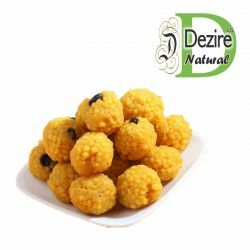 Customers who visit us online are sure to become spell-bound by the Indian sweet varieties available with us. We are celebrating our 25th wedding anniversary in Hyderabad, next week and want 2 kilograms of sugar-free sweets and Rose Kajiu Bon in particular. Can you provide the said quantity on time? We at OYC wish you a happy wedding anniversary first and would like to inform you that we would be privileged to deliver 2 kilograms of Rose Kaju Bon Bons on the scheduled date and time without fail. Kindly place the order online so that we can execute the same. Also its a best gift for mothers day gifts. My grandma was always fond of laddus. But recently she was diagnosed with diabetes. I bought her these sugar-free laddu, now she's enjoying this with limited amount daily. Hopefullyi will post more orderes. A perfect blend of all Sugar-free sweets in this combo. Ordered online from OYC and it was delivered punctually. Ordered Sugarfree sweets Rasagulla for my mother. She loved it. Will order more. Thank you OYC. I have been diagnosed with sugar for quite some time and I was looking to quench my sweet thirst with sugar free chocolates from OYC my dream has been fulfilled. I received combo sugarfree sweets loved it as everyone at home were able to teach my grandma as well my dad, thank you OYC for such delicious sweet.